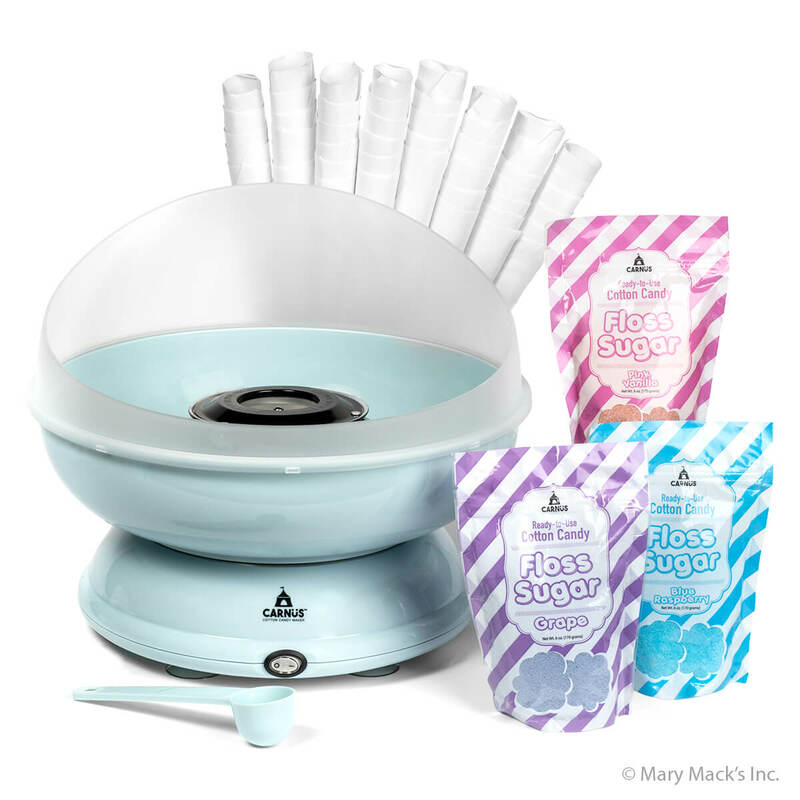 Cotton candy is a wonderful, year-round treat and this Carnüs Brand 3 Flavor Cotton Candy Party Kit contains everything you need to make delicious cotton candy at home. Get started today! 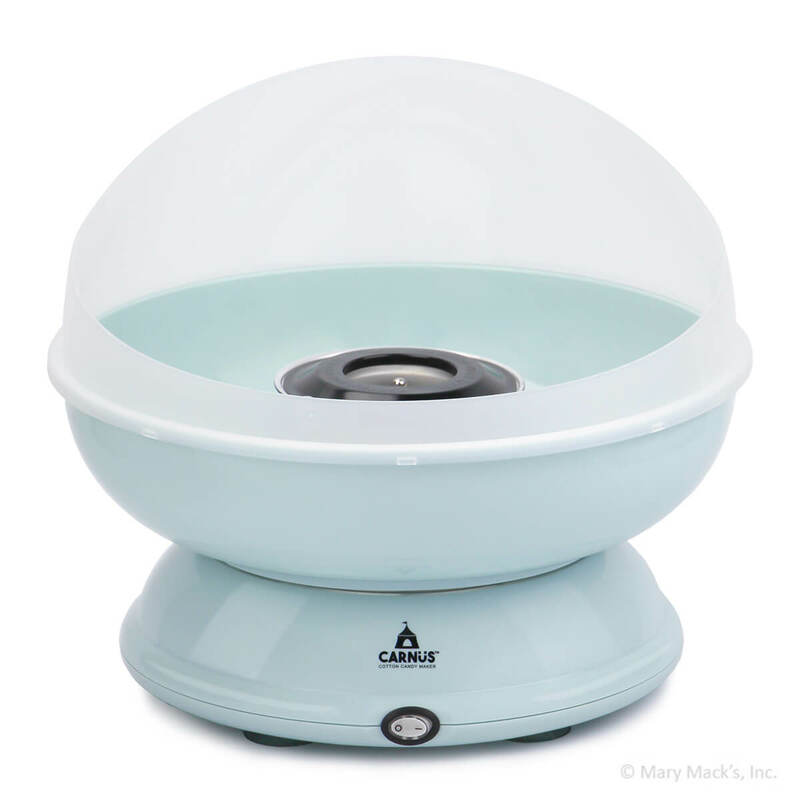 You’ll love how easy the Carnüs Cotton Candy Maker is to operate, clean, and store. Plus, it comes with a one year manufacturer's warranty. 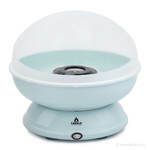 The three tasty flavors of cotton candy floss sugar are easy to add to the machine and reseal for use at a later date. Simply plug in the machine, pour in a little pink vanilla, blue raspberry, or grape cotton candy sugar using the included scoop and watch it appear before your eyes. 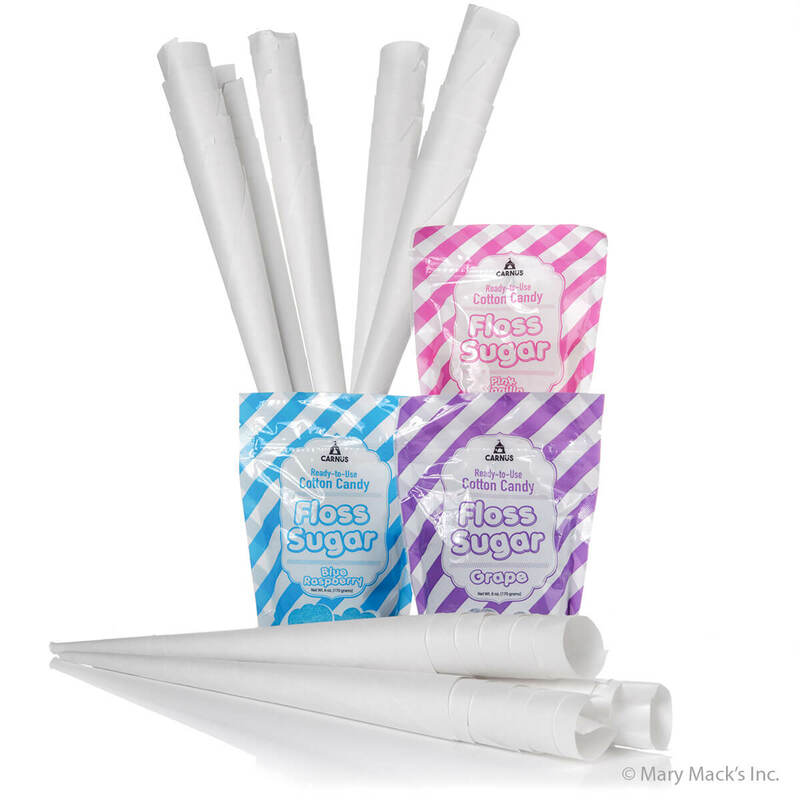 Serve fluffy cotton candy to all of your friends and family with the included paper cones.